Fans of David Walliams, the English comedian and award-winning author, will be delighted to hear that one of his best known children's books Mr Stink will be brought to life on stage next Autumn. Mr Stink, will arrive at the Playhouse, Arts Centre Melbourne from from 1 - 9 April 2017. This Australian production, written by Maryam Master and directed by Jonathan Biggin, follows the story of Chloe, the loneliest girl in the world, who makes friends with Mr Stink. Mr Stink is in fact a local tramp, who despite his pong, is the only person who is nice to Chloe. 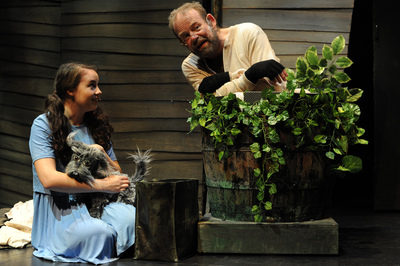 Chloe houses Mr Stink in her family's garden shed, but will she be able to keep his hide-out a secret? 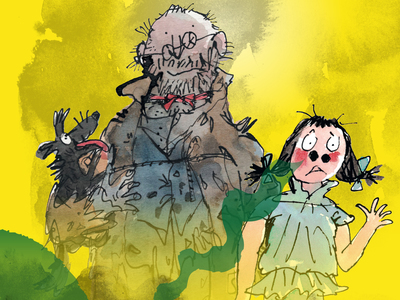 The tale of Mr Stink, adapted from Walliams' book, first published in 2009, is as hilarious as it is stinky, yet also addresses important themes such as social justice, homelessness, bullying, prejudice, family and friendships. Suited to children age 6-12, Mr Stink arrives on stage with CDP Kids Production, the team who introduced other big-name book adaptations to the Australian stage; The Gruffalo, The Gruffalo's Child, Room on the Broom, The Incredible Book Eating Boy, The 13-Story Treehouse, The 25-Story Treehouse, The 52-Story Treehouse and Snugglepot & Cuddlepie.